VBMP’s protest camp for Baloch missing persons completed 3550 day. According to details received by the Balochistan Post, A delegation of ‘National Party’ visited the protest camp of ‘Voice for Baloch Missing Persons’ (VBMP) in front of Quetta press club on Monday. 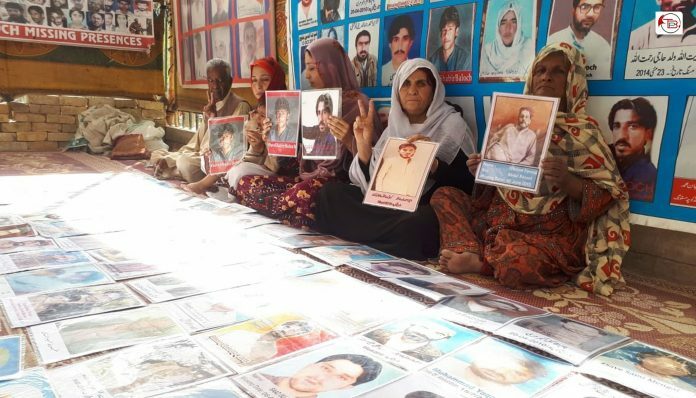 While talking with the delegation, Mama Qadeer, the vice chairman of VBMP said that, “Eighteen years passed but the series of abductions, killings and mass graves continue. Old parents and other family members are still waiting for the return of their loved ones”. “Culprits never said, for which reason these people were abducted and many of them were killed, nor any impartial international institution has bothered to investigate about these cases”, he added. According to VBMP, more than 40,000 Baloch men, women, and children are under Pakistani custody. VBMP also alleges that at least 5,000 missing persons have been killed and dumped over last one decade.